The 2013-14 legislative session is now over and Summer is officially here. Hopefully you're out enjoying our beautiful public lands! That doesn't mean though that advocacy work is slowing down one bit as evidenced by the number of land access articles. There's also a Governor's Task Force on Recreation, the Teanaway Forest Planning work, and several other activities shifting in high gear. Stay tuned to WOHVA and read on to stay informed. Your NOVA Funds at Work! Jones Creek Trails Aren't Building Themselves! The Governor Wants To Hear From YOU! 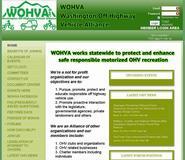 Over the past several months, WOHVA has been working on a much improved website. Not only is it a new look, but it will also allow individual members of our supporting organizations and business to become Associate Members – at no cost! WOHVA has been using the same website since we began 8 years ago and we've needed more horsepower and features. Our recent change enables us to finally offer Club and Business members the opportunity to sign up all their members for free, as Associate Members. This greatly improves WOHVA's ability to describe whom we represent to our legislators and land managers, and also enables faster communication from WOHVA to these Associate Members. We'll be contacting all Club and Business members to describe this new option and help implement it on a voluntary basis. Regarding maintaining member lists and confidentiality or overuse, we appreciate our member's privacy, we will not overuse communication channels and we believe our track record over the past 8 years backs that up. There are nearly 100,000 ORV permit holders in Washington. WOHVA wants to offer membership options to Clubs and Businesses to represent as many of these permit holders as possible to inform them and build on their strength in Olympia! On Sunday, May 11, Riverside State Parks' 7 Mile ORV Area (Spokane WA) dedicated the first of its kind anywhere in the USA: A Beginner Riding Area facility. What makes this facility so unique? First, this is the ONLY ORV FACILITY operated by our State Parks. Second, this facility is the first of its kind that has a connection to an adjacent riding area! Most Beginner Riding Areas are not co-located with an open riding area. This Beginner Riding Area is approximately 7 acres in size. The north end of the site contains a track about 1.5 miles in length that has turns (sharp and gradual), a slight incline, plus a straight stretch where beginners can get up to speed – about 30 MPH. The track is marked with continuous flags to keep everyone "on track". The south end of the facility is about 13 acres and is a treed area with some open meadows on the very south end that beginners can ride on. The open area is also planned to have a 4x4 race track. You can also ride from this facility to the main ORV area of 600 acres. There's a small pavilion on the facility along with a pit toilet, but no camping – as of this date. The facility has an unofficial name – "Moose tracks", in honor of the park ranger who spent numerous hours not only getting the facility approved, but also spent many hours working on getting it ready for the May 11th dedication. Working with "Moose" the ranger was Cody, another park employee. YOUR NOVA funds helped to make this facility possible. In another policy reversal, the U.S. Forest Service has determined that all-terrain vehicles (ATVs) are not NOT permitted on most roads in the Okanogan-Wenatchee National Forest. Because the 2013 state law (HB1632) that provides for increased ATV access does not apply to "non-highway roads" – which includes roads managed by public agencies – the law does not change access in the forest, according to a letter sent to area newspapers on May 15 by Michael Balboni, supervisor of the forest. Shortly after the state law passed last July, the Forest Service released a statement saying that ATVs were not permitted on national forest roads in Washington, but last March Balboni determined that there was no legal means to prohibit ATVs from traveling on roads in the Okanogan-Wenatchee National Forest. Last week's decision reverts to the status quo in the forest. That means that only those roads designated for ATVs before the state law changed remain open to the vehicles, according to Mick Mueller, acting public affairs officer for the Okanogan-Wenatchee National Forest. The change in the Forest Service position comes as counties, cities,[sic] and other public land managers are also trying to interpret the 38-page ATV law and its stated intent, to expand opportunities for ATV riders while increasing enforcement and protecting natural resources. Okanogan County is in the process of reviewing its ATV policy, following the repeal in March by the county commissioners of two ordinances that would have allowed ATVs on most county roads. The commissioners scheduled a public hearing June 16th on a new proposal to add another 600 miles of roads to the 336 where ATV riders can already travel. "This really is a clarification of where ATVs can ride," said Mueller. "It's all about researching the language of the state law about the effect on national forest roads. We had to investigate what the law says." The Forest Service generally follows state and local laws for traffic safety, which guided Balboni's interpretation in March that there was no basis for prohibiting ATVs, said Mueller. Land managers for the Okanogan-Wenatchee National Forest have been consulting for months with the Pacific Northwest Regional Office about the interpretation of the Washington law, said Mueller. One reason the application of the law is less-clear-cut in the Okanogan-Wenatchee is that this is the only national forest in the state that has not completed its travel planning process and does not have detailed maps showing every road and the types of vehicles permitted to use the roads, said Mueller. The Forest Service travel planning process is the appropriate tool for analyzing roads and the vehicles that can use them, with a focus on public safety and the potential for resource damage, said Mueller. The Okanogan-Wenatchee started work on its travel plan about 10 years ago and expects to issue a draft environmental impact statement on the plan for public comment in about six months, he said. Two environmental organizations, the Methow Valley Citizens' Council and Conservation Northwest, sent a letter to Balboni last month saying the Forest Service's decision to allow ATVs to use roads in the forest "is unlawful and should be reversed immediately." The same groups successfully sued Okanogan County last year over the two ordinances that were subsequently withdrawn. "MVCC is pleased that the forest supervisor has rescinded his earlier policy allowing ATVs on Forest Service roads prior to the completion of the travel plan," said the group in a statement issued this week. "MVCC is not opposed to allowing ATVs on selected roads within the Forest Service road network as long as there has been a thoughtful engineering and environmental analysis. We only wish Okanogan County had taken this approach." In addition to sending letters to the editors of newspapers in Central Washington, Forest Service personnel have talked to ATV rider groups, county commissioners and other elected officials in the affected counties, legislators who worked on the ATV law, and representatives from environmental groups that have contacted the Forest Service about the policy, said Mueller. On May 31st, Colville National Forest Supervisor Laura Jo West signed the "South End Project and Forest Plan Amendment Environmental Assessment (EA)". So what does this mean for OHV users? The "South End Project and Forest Plan Amendment Environmental Assessment (EA)" will change the status of over 170 miles of roads from "Roads Open to Highway Legal Vehicles" to "Roads Open to All Vehicles." This project has been ongoing since 2008. It has taken forest users a lot of time and effort to ensure additional roads are made available to OHV users. The planning document states it will take 15 years to fully implement all the provisions. Some of the parts that involve minimal work may get done in 2015 at the earliest. Those that take more effort will occur in the outyears. This project will add approximately 2 miles of new OHV trails. This will give users a better experience by creating some loops – rather than out and back trails. As a result of HB 1632, more local jurisdictions (counties, cities, and towns) are opening their roads to OHV use. HB 1632 was an attempt to open roads in WA State to OHV use. While HB 1632 does have some problems, it is opening more roads to OHV use, which in turn can bring tourist dollars into local communities. Help WOHVA help YOU! With over 300 local jurisdictions, it is impossible to be aware of all local jurisdictions opening their roads. If you find a local jurisdiction that has opened their roads to OHV use and is not listed on our Where To Ride website, please send an e-mail to webmaster@where-to-ride.info and provide as much information as you can. We'll check it out and add it to the website. REMEMBER: Help other OHV users by keeping us updated on where you can ride the roads! With the cost of maintaining public roads becoming an increasing (unsustainable) burden on our financially strapped US Forest Service, one more Forest in our State is entering a planning process to determine which roads they can and can’t maintain. Although this is called "Sustainable Roads", it could also impact trails as trails are part of the USFS transportation budget. WOHVA members have been active participants in several of the State’s Forest Planning sessions for sustainable roads, typically advocating for keeping roads open at lower levels of maintenance rather than closing or decommissioning them. Roads marked then as trails and maintained in this way can then readily become ATV and ORV rights of ways to access our public lands without conflicts with vehicles on public roads. Thursday July 17, 4:30 – 7:30 p.m., Port Townsend, Washington, Port Townsend Community Center, 620 Tyler St.
Wednesday July 30, 4:00 – 7:00 p.m., Quinault, Washington, Olympic National Forest, Quinault Ranger Station, 363 South Shore Rd. Tuesday August 19, 4:00 – 7:00 p.m. Shelton, Washington, Shelton Civic Center, 525 Cota St.
Thursday August 21, 4:00 – 7:00 p.m. Aberdeen, Washington, Rotary Log Pavillion, 1401 Sargent Blvd. Questionnaires are also available at any Olympic National Forest office. Comments will be taken until August 31, 2014. Looking for a place to volunteer? Want a $10 gift certificate to Rocky Mountain for riding gear or parts? How about a free Discover Pass after volunteering several times? All this is possible when you volunteer, and here’s a specific opportunity in the SW part of our state 30 miles east of the city of Vancouver. After more than seven years of "planning" the DNR has finally cleared the way for new trails to be built at Jones Creek. The ten year plan includes construction of approximately 58 miles of new 4x4, ATV, and single-track trails. For those of us who have stuck around through all the years of government delays and red tape, it's a big relief to see it actually happening on the ground. The Jones Creek Trail Riders Association (JCTRA) is tasked with building the ATV and single-track trails and Pistons Wild will be handling the 4x4 trails. We began construction of the first ATV width section of trail in May and it is nearly complete. We hope that the DNR will be able to post it open for the public by the end June. The next section will be the first legally built single-track trail in SW Washington in decades. JCTRA's membership like many clubs has gone up and down over the years. The DNR has not made it easy for us to do business with the trails being closed half the year, the loss of the Rock'n'Roll Poker Run, and then the Discover Pass which promised millions of dollars to go to recreation programs like this . 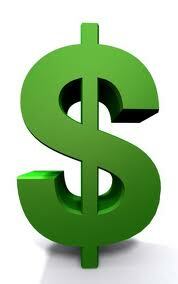 . . but has yet to pay out in any measurable way. My hope is that the news of building new trails will bring people out of the woodwork and build the club and the trails back up. The DNR does not have the finances and/or manpower to build all these trails. The financial structure in Washington is simply different from Oregon's. The question also has to be asked, would riders enjoy riding what the state of Washington would build if it were left completely up to it's own devices? I believe the answer is no, volunteer influence is essential to building enjoyable trails. In short we need more volunteers to build these trails. I've reached out via several of the local forums (OMRA, Thumpertalk), on the JCTRA Facebook page, and our web site http://www.jctra.org and it's email list. I've encouraged articles in The Reflector (Battleground) and there should be another coming out in The Columbian newspaper encouraging people to volunteer to help make these trails a reality. With that in mind I am asking you to help me spread the word and encourage your members to come up to Jones Creek and help build some new trails. We are asking interested people to register at http://www.jctra.org which will add them to our email list. It's free, they'll get a few e-mails per month, and they can be removed at any time by simply replying to any of the e-mails requesting that they be removed. It is the best way to stay informed of the latest news about the upcoming work parties and all other things Jones Creek. If there are plans to bring a larger group (more than 2-3 people) please let me know so that I can prepare for more volunteers than normal. We have work parties tentatively scheduled for July 26th, August 23rd, and beyond. We hope to finish the first ATV section soon and begin construction of the first single-track section next. Remember, registering at http://www.jctra.org is the best way for volunteers to stay informed of the latest news. The next meeting of Governor Inslee's new Outdoor Recreation Task Force will be in Wenatchee on Tuesday, July 8th. We're fortunate that we have John Keates sitting on this group representing our motorized off road interests. In the past, the public comment period for these meetings has been during the work day – during the task force meeting itself. In July, the schedule will be changed – a public listening session will be held on Monday Night, July 7th at a location and time to be announced. John would like to encourage all ORV enthusiasts to come and address the task force. If you have suggestions for the betterment of ORV recreation in Washington, please attend and tell the task force members what you think! At the Spokane meeting on June 10th, there were plenty of speakers who very effectively spoke in favor of funding for Washington State Parks. This September the Task Force will be making recommendations to Governor Inslee and some of the suggestions hopefully will find their way into the Legislative process for 2015, or in future years. As one of the Outdoor Recreation Task Force members, I have been very impressed with the public comments made in Olympia, Kent, and Spokane. Having ORV enthusiasts join the conversation would be wonderful. Hope to see you in Wenatchee on July 7th! Washington State recently purchased 50,000 acres of former private land north of Cle Elum to create a new community forest. We're fortunate that we have a volunteer, Mike Reimer, who has stepped up to represent ORV interests as a member of the 20 person group creating the plan for this new public forest. Mike has asked all ORV recreationalists in the area to ". . . go to the DNR website for the Teanaway at www.dnr.wa.gov/teanaway and sign up for the newsletter. Then, click "online feedback form" and simply state your support for ORV use in the Teanaway. Get your spouse, kids, friends, and relatives to do the same. Please support Mike and ORV recreation in this new concept for public forest land.